Visit our BECOME A VENDOR page for 2015 Vendor Application and information about becoming a vendor. 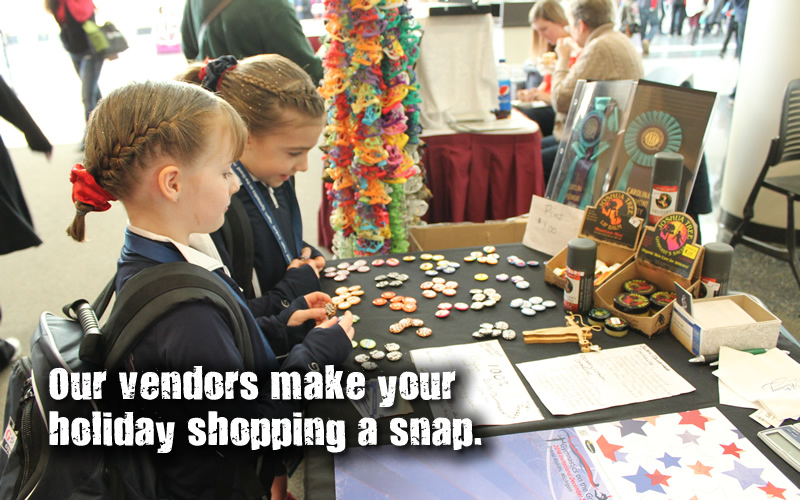 Parents and gymnasts, take a walk around the venue and check out all of the great offerings from our vendors. No time for holiday shopping? We've made it easy for you to snap up a holiday gift for almost everyone on your list, especially your gymnast. Or, just sneak a few minutes of "me time" for a yummy snack. Enjoy! With so many fun activities at Flip Fest you'll never want to go home. Flip Fest is the only summer camp owned and operated by two Olympians - John Macready and John Roethlisberger. Join us this summer at one of the most exciting and impressive gymnastic camps in the country. Gym Chix specializes in leotards, gymnastics clothing, and accessories that are different than you will find at most meets or in pro shops and are sure to be a hit. Official Alpha Factor representative of Gymnastics on the Grand! Medal Hangers offers medal holders for both boys and girls -- display your medals with pride! Foxy's manufactures and sells great fitting stylish workout leotards. They also offer hot shorts, apparel, and baby doll leotards. Have a mess? Not any more, thanks to the AwardKeeper Ribbon and Medal organization system. Those hard earned ribbons can be protected and cherished for years! Younique is home of the AMAZING 3D Fiber Mascara, and many other naturally based products! Our mission is to uplift and empower women everywhere, while also providing opportunity for personal growth and financial reward. Midwest Gym Supply provides gymnastics equipment for competitions and at home. Grips are the featured item for sale at Gymnastics on the Grand. Digital Therapy provides non-medicinal pain relief products, including a TENS unit / muscle massager that will take away pain after just 5 minutes of use, heating and cold packs that heat to 130 degrees just by clicking a disk, and a pain relief rollon that takes pain away in 30 seconds. Jewelry including earring, bracelets and more! Thirty-One Gifts are very cute totes, purses, bags, thermal and lots of stuff to keep you organized on the go or in your home. Designing Dreams is the official floral provider of Gymnastics on the Grand.